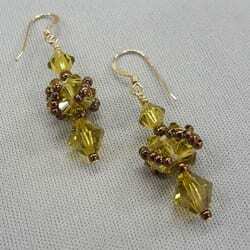 Use your cubed right angle weave (CRAW) skills to make one unit using Swarovski crystals. Embellish your crystal cube and fashion them into earrings. Instructor: Karen Kubby.